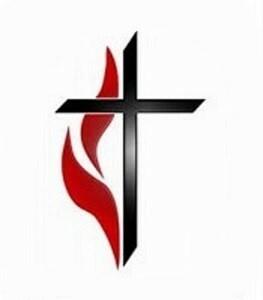 STANTONSBURG – James “Jimmy” Howard Bottoms, 75, died Thursday, January 31, 2019. Funeral, Sunday, 2:00 PM, Wilson Memorial Service, followed by a time of visiting and sharing. Burial will be for and at the convenience of the family. Jimmy had been a true farmer and really enjoyed working in the soil. Plumbing was another interest. He was a member of Tabernacle United Methodist Church, Joseph A. Warren Masonic Lodge #92 and the former Stantonsburg Kiwanis Club. Surviving is his wife, Martha Jo Jones Bottoms; daughter, Julie Davis (Randy) of Stantonsburg; sons, Jeff Bottoms of Wake Forest and Justin Bottoms (Amy) of Stantonsburg; grandchildren, Lloyd, Luke and Lillie Davis, JoHanah and Neleh Bottoms; sisters, Dene Sutton of Elm City and Kathryn Bottoms of Rocky Mount; brothers, Henry Bottoms (Tammy) of Elm City and Berry F. Bottoms of Elm City. He was preceded in death by his parents, Berry and Myra Winstead Bottoms. Memorials are suggested to Tabernacle United Methodist Church, c/o Jane Greenup, 9909 County Home Rd, Ayden, NC 28513.